The [Alaska Wing] pilot who died when the Civil Air Patrol plane he was flying slammed into a downtown Anchorage office building early on a December morning deliberately crashed into the structure, according to federal authorities. Staci Feger-Pellessier, a spokeswoman for the Anchorage office of the FBI, announced the findings in a short release Monday. The Dec 29, 2015, plane crash killed the plane’s sole occupant, CAP 1st Lt and nature photographer Doug Demarest. Demarest took off from Merrill Field at about 6 a.m. that morning, heading west over downtown Anchorage before turning east and shearing off a wing against the northwest corner of the Brady Building on Fourth Avenue. 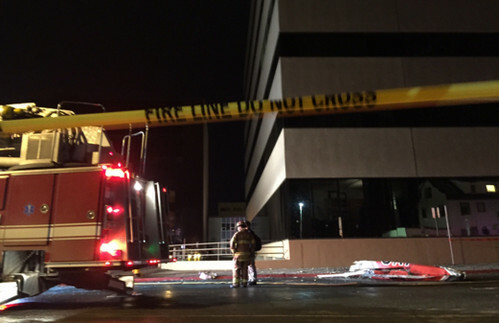 The Cessna 172 crashed into the nearby Carr-Gottstein Building seconds later and caught fire. Demarest’s wife, Kate Demarest, worked at the legal firm Dorsey and Whitney, whose Anchorage offices were in the Brady Building. She had not yet arrived for work at the time of the crash. A family friend described the crash as a suicide, and the NTSB’s preliminary report on the incident didn’t mention any mechanical issues with the Cessna. 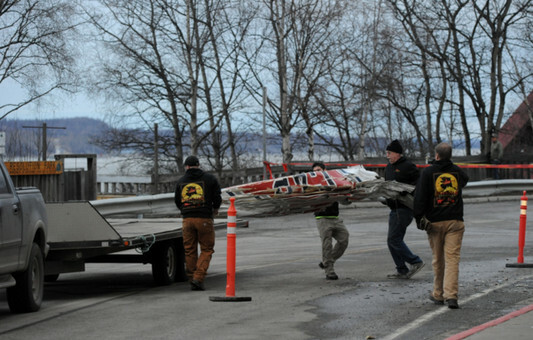 Be the first to comment on "CAP Pilot Intentionally Crashed Plane into Anchorage Building"